Military charity Help for Heroes is providing a grant of £246,000 to Stoll, the leading provider of supported housing to Veterans, to enable more wounded, injured and sick veterans living in London to rebuild their lives and empower them to make a positive impact in society. The three-year partnership will enable two Stoll members of staff to act as the operational arm of Help for Heroes and provide outreach services to wounded, injured and sick veterans. Help for Heroes currently run four Recovery Centres across the UK; Tedworth House in Wiltshire, Chavasse House VC in Colchester, Phoenix House in Catterick and The Naval Service Recovery Centre at HMS Drake, Plymouth. The funding will help ensure more veterans living within the M25 can easily access specialist welfare support on a range of issues including financial help, housing, health or employment support. Stoll Veterans’ Outreach Service is a project that provides support and assistance to Wounded, Injured and Sick Ex-Service men and women’, including those in Transition. In the first year, we anticipate that Stoll’s life changing work will support 130 wounded veterans, of whom 90 per cent will be more independent as a result of receiving the service. Claire Barnes, Head of Grants at Help for Heroes, said: “Help for Heroes was founded upon the belief that those who put their lives on the line for us, deserve a second chance at life for them and their families. We are delighted to be able to work with other organisations and the Service’s own charities to ensure that the wounded and their relatives get the speedy support and opportunities they so richly deserve. 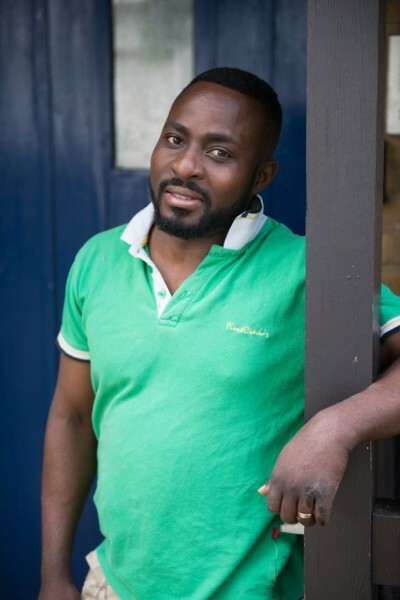 Isaac Gogo is one of the first Veterans to be supported by the Help for Heroes and Stoll partnership. Issac, 36, served in the Army from 2003 to 2016 as a Sergeant in the Royal Logistic Corps, touring both Iraq and Afghanistan. He was medically discharged with a knee and back injury. Stoll worked with Isaac and his family to find a property that they could call home. In November, they moved into a 2-bed property in Fulham, with a garden and are settling well into their new house. The support can be accessed face to face, by telephone and email. If you are a veteran who is wounded, injured or sick and in need of support, please visit www.stoll.org.uk, email outreach@stoll.org.uk, or call 020 7385 2110 to find out more. Help for Heroes offers comprehensive support to those who have suffered life-changing injuries and illnesses while serving our country. This support is provided through grants direct to our Heroes and their families, grants to other charities and through four Help for Heroes Recovery Centres across the UK. A recent study launched in January 2016 by Help for Heroes and King’s College London found of the 750,000 men and women who served as Regulars between 1991 and 2014, at least 66,000 need long term support.